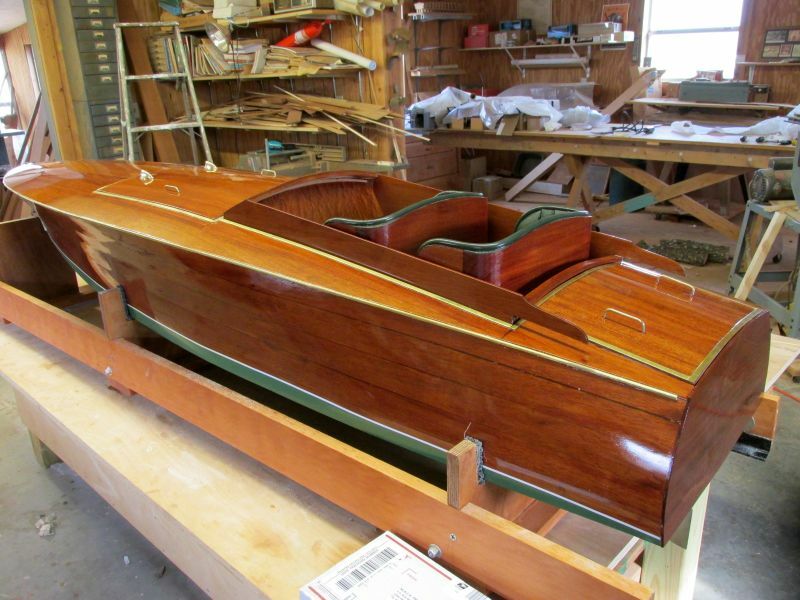 Congratulations to seventy-nine year old John Campbell of Texas, a fine craftsman who has been building boats for sixty years! John is a real Hacker enthusiast. He describes his latest project, ‘Rosita”, below. “I must confess that I am hopelessly in love with this little boat and have lusted after ALL Hacker boats for at least 40 years. I have built radio controlled models of many of them…. Peter Breen’s boat shop, located near Rockwood, Ontario. has been very active over the winter. 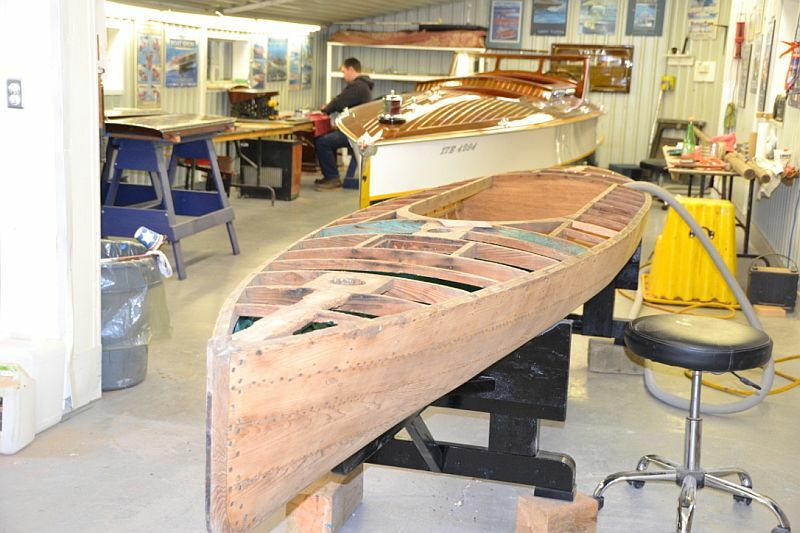 The water-craft below is a personal project for Peter, who has a fantastic collection of vintage canoes. This is his latest acquisition. 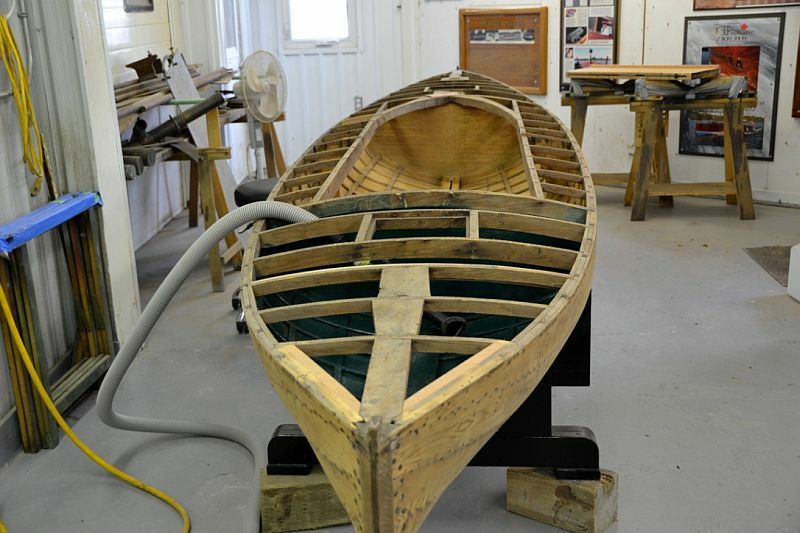 Built around 1900, this eighteen foot, “double-end” sailing canoe has all original wood. 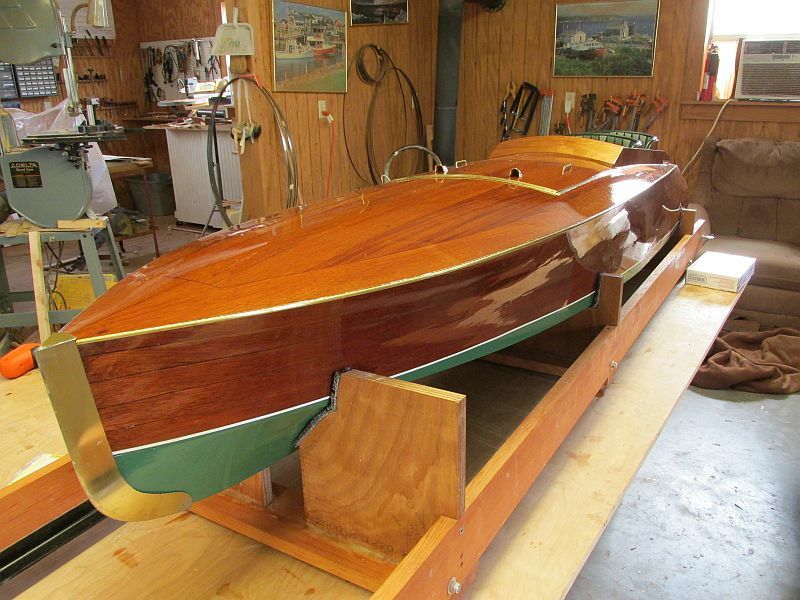 One section of planking has had a crack repaired and the entire boat is being hand-sanded – to be followed by a few coats of varnish.